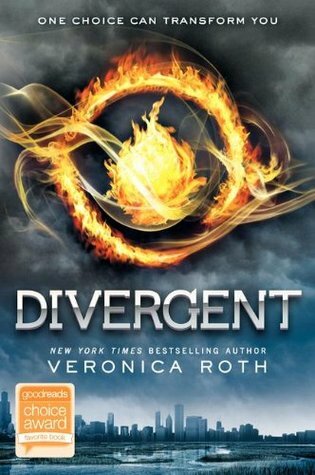 Ever since I caught a glimpse of the cover and summary for Divergent, I have been dying to get my hands on a copy. Not too sure what to expect, I went into this novel pretty blind, just hoping that it would live up to all the hype that I had been hearing. Divergent focuses on Beatrice's world where there are five fractions. Each fraction representing a part of the whole: Abnegation (selflessness), Amity (peacekeeping), Candor (honesty), Dauntless (bravery), and Erudite (intelligence). For Beatrice, her life as Abnegation is nothing but black and white. So when she gets the chance to make a change in her life, she dives head first into transforming herself as a Dauntless. Here she can become Tris. The girl that she has always longed to be. No longer is she the girl always putting everyone first and herself last. In a lot of ways, Divergent lived up to the hype. A fast paced dystopian novel that introduces a fresh plot and outstanding characters. Roth surprised me by just how enjoyable every aspect was. I really was expecting to be let down, but Roth completely made me a believer in her world. As for the romance, I am on the fence. Tris and Four have some incredibly beautiful moments and lots of back and forth. I loved their chemistry and bantor.. while becoming frustrated over Four's constant aloofness. All in all, Divergent left me wanting me. And my oh my, what an ending. I love, love when I do not see the endings coming. Divergent completely surprised me with all those twists and turns. I simply cannot wait for more.